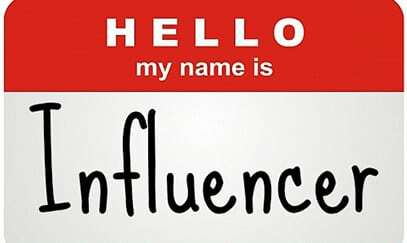 It’s still unclear what a communicator means when she uses the term “influencer.” Some consider journalists and Hollywood celebrities influencers. Others insist topic experts with small, but loyal followings are the true influencers. There’s also the question of payment. Some communicators insist an influencer receive wages. Others refuse to compensate influencers, arguing that payments taint the influencer’s authenticity. Definitions aside, there’s little doubt about the importance of influencers. A new survey from PR News and Meltwater, a media intelligence company, found overwhelming support for the use of influencers. Just a few years ago, many viewed influencers as a temporary fad. Nearly 400 communicators took part in the survey, which was conducted late in 2018. For example, nearly 50 percent of those surveyed said they "use influencers to get out key brand messages." An additional 32 percent told us they don't use influencers, but are "considering it." Just 18 percent said they don't use influencers and "have no plans" to do so. Similarly, just 20 percent of respondents told us influencers are of "little or no importance" to their "PR/communications success." Krista Todd, VP, global communications at Logitech, which manufactures peripherals for personal computers and mobile devices, was surprised that as many as 20 percent of respondents had yet to jump on the influencer bandwagon. “I suspect that figure will decline next year to 10 percent or less,” she says. The survey also found communicators believe they are getting their money's worth from influencers. The majority (70 percent) said their companies’ use of influencers has delivered a positive ROI or a break-even result. If it ain't broken, don't fix it: a whopping 95 percent said their spending plans for influencers will either rise (43 percent) or remain steady (52 percent) in the year ahead. The survey examines why brands and organizations use influencers. Common knowledge says influencers help reach younger audiences. Our findings show, however, that influencers’ ability to provide an “authentic voice” (40 percent) and “third-party” credibility and validation (38 percent) are the main reasons brands and organizations deploy influencers. Using influencers to attract hard-to-get demographics (9 percent) and “grow[ing] our audience” (11 percent) were far less important to our survey participants. Not all is sanguine. Respondents' major pain points represent the full influencer lifecycle, from finding and managing influencers to proving their ROI. In order of most painful, the respondents said: proving ROI (34 percent), uncovering/ identifying influencers (22 percent) and the time needed to manage campaigns (19 percent). Another interesting data point was that 59 percent of communicators told us the primary way they find influencers is via "manual research." One way to interpret this figure is that communicators have yet to find and/or embrace custom tools for locating influencers. Another view is that the influencer ecosystem is uneven. While our study shows advances in influencer marketing, search seems stuck in its formative stage. Having unarmed communicators battle the vastness of social media in search of the right influencers seems incongruous in a high-tech, data-driven environment. 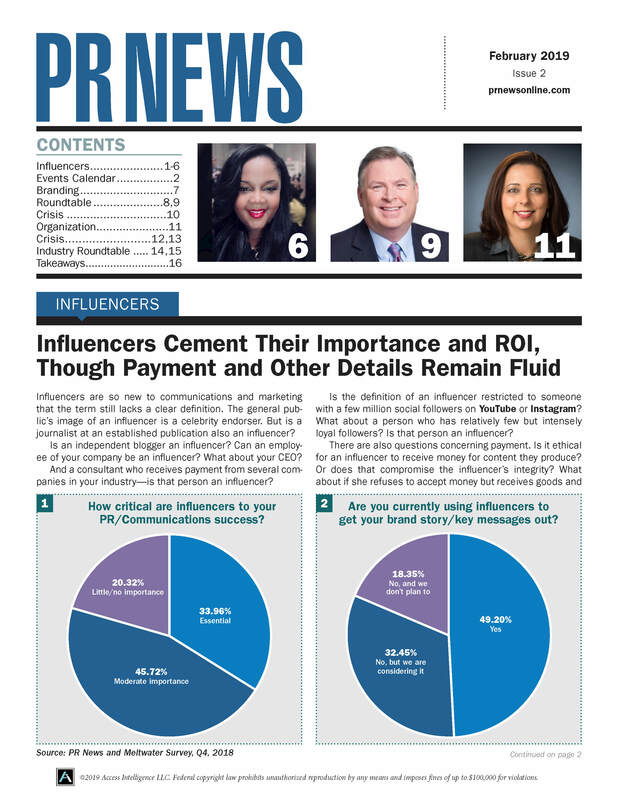 There's much more in "The Influencer Report 2019: Survey Findings, Trends and Forecasts." You can download the report here.